As an Iraqi watching the fall of Mosul, it’s hard to escape the feeling that it’s all happening again. The conflict in Mosul has triggered yet another humanitarian crisis and an estimated one million people are expected to flee from Iraq’s second biggest city. The takeover of Mosul feels as though we’re at the end of a journey. Now there is a chance for peace. While insecurity remains a daily part of life, so too, does our resilience and determination to put the country on track to a more prosperous and secure future. As the Country Director for Muslim Aid in Iraq, one of the UK’s largest Muslim charities, my team is determined to help build a more secure future for our fellow Iraqis. In order to achieve this goal, it is most important for me that we see Iraqis working together, and helping each other to build a better life. In the past few days alone, my team has met hundreds of families who have made the dangerous and perilous journey from the battleground of Mosul to the safety of Jeddah camp in the South Of Mosul. Hussein is one of the new arrivals. We must look to Iraqis first and foremost to help Hussein and others to rebuild their lives. 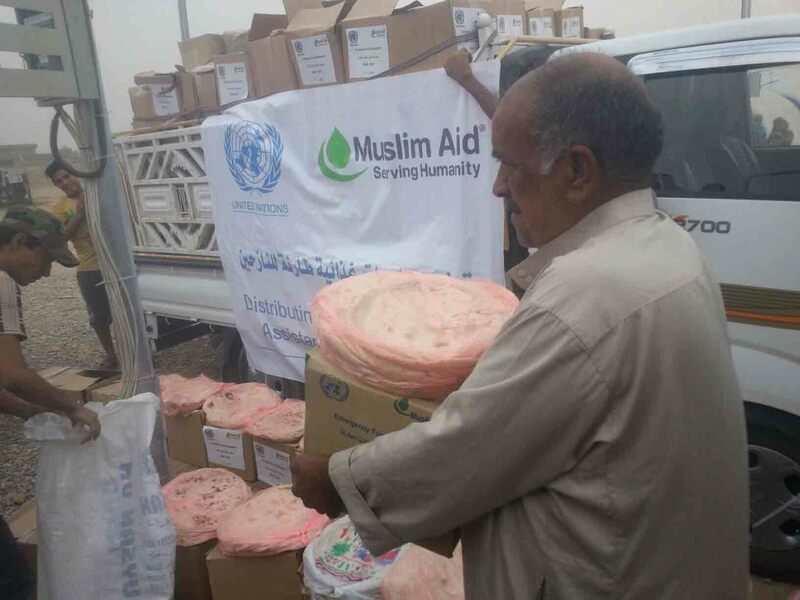 In Jeddah Camp, Muslim Aid is helping Hussein and others to feed their families. Together with our partners, we have been handing out food parcels, which consist of basic staples such as flour, sugar and rice, to provide enough meals to last each family for up to one month. Over the coming days and weeks, we plan to scale up our emergency assistance to reach more than 60, 000 people who have fled the conflict in Mosul. For families like Hussein, this emergency assistance is a lifeline and the first step on the long road to recovery. Across Iraq, we are continuing to support Iraqis. Muslim Aid has been working in Iraq for the past 14 years to help people rebuild and recover from the conflict. In Al Qayyarah we are continuing to deliver food assistance to families who were under siege for more than two years. Elsewhere, we are supporting Iraqis to sow the seeds of opportunity, from starting their own agricultural businesses to taking vocational courses in embroidery. By supporting the most vulnerable people we are trying to prevent a slide back into turmoil, and ensure the country flourishes again. 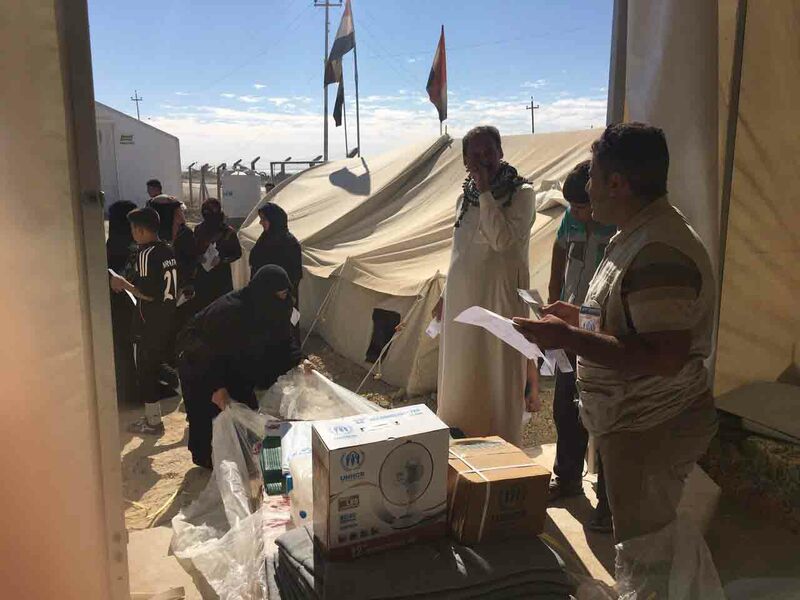 The humanitarian needs in Iraq are huge but not insurmountable. 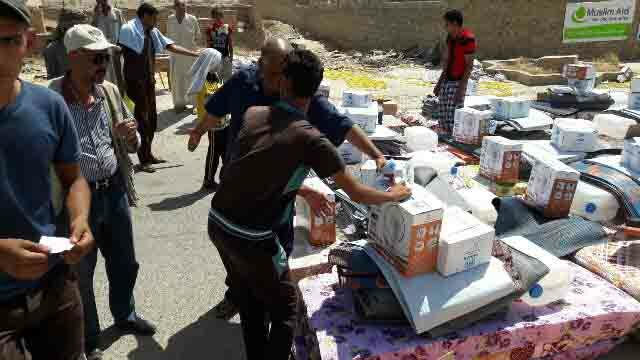 Together Iraqis can help each other to recover and rebuild. But we must continue to promote this unity, and lead by example. Only then will Iraq once again become a beacon of hope and prosperity.